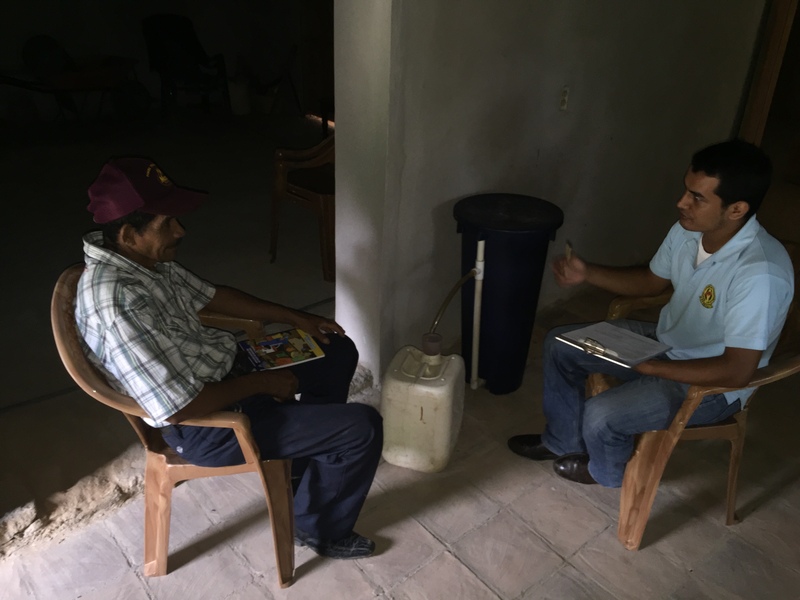 Largely rural, Honduras faces problems shared by many other rural areas in developing countries; low incomes, poor indoor air quality and inadequate access to clean drinking water. A lack of safe drinking water and sanitation results in frequent and sometimes deadly water-borne illnesses. Such illnesses significantly undermine quality of life, economic prosperity, ability to attend school and human progress. To counteract these issues, NativeEnergy is using The Gold Standard’s established carbon reduction protocol to assess, implement, monitor and verify a 10-year long project that will deliver clean water while reducing carbon dioxide emissions. In addition, we will be monitoring progress toward achievement of four UN Sustainable Development Goals. 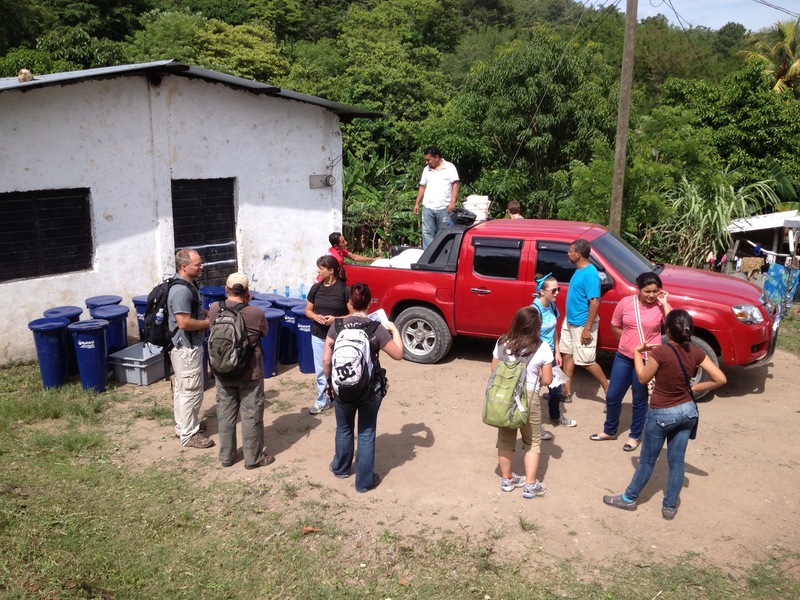 Across four regions of Honduras, NativeEnergy and the Honduran Association of Coffee Producers (AHPROCAFE) are providing clean drinking water to rural communities. The mission of this project is to promote the sustainable development of communities participating in the coffee production process and improve the human development indexes within the Honduras coffee sector. Following our Help BuildTM project development model and building on the success of our past Clean Water Projects, NativeEnergy and our project team combine local knowledge and capacity to implement this nationwide water project. With large-scale water and sanitation infrastructure too far on the horizon, the solution is a simple, safe and effective household water filter that will operate for 10 years or longer. It uses centuries-old slow sand technology to remove up to 99% of waterborne pathogens with just gravity. With safe drinking water, communities reduce susceptibility to illnesses, reduce time absent from school or work due to illness and save money on medical expenses. This project presents a new solution to the challenges of extreme poverty, poor health and the increasing carbon dioxide emissions associated with burning wood to boil water for drinking. The project combines carbon finance and long-term community benefits with the rigor and accountability of a verified carbon project. This project is expected to make a difference in these communities and globally by improving health, sanitation, employment, forest health and climate impacts. Access to clean drinking water means families contract fewer illnesses. Avoided burning of wood indoors for boiling water means less household and ambient air pollution, which improves health and wellbeing for families. Both cleaner water and cleaner indoor air are particularly important for the health of children under the age of five. Avoided deforestation helps preserve habitats and biodiversity and means families – most often women and girls – spend less time gathering firewood. Improving access to clean drinking water not only helps the people living and working in Honduras, it makes the coffee supply chain more resilient by allowing producers of quality coffee to avoid fuel, medicine, and clean water costs and invest those savings in their farm, their children’s education, and their livelihood overall. Businesses and individuals wishing to help reach more families with more clean water filters, while mitigating their carbon emissions, can purchase NativeEnergy Help Build carbon offsets for this project. The project is monitored annually and verified to the Gold Standard, a leading independent standard for voluntary carbon reduction projects. Among other parameters, the usage rate of the filters, the quality of the water filtered, and the amount of water consumed by the households is monitored, as well as the reduction in burning of wood. This project is a collaborative effort among NativeEnergy and AHPROCAFE. 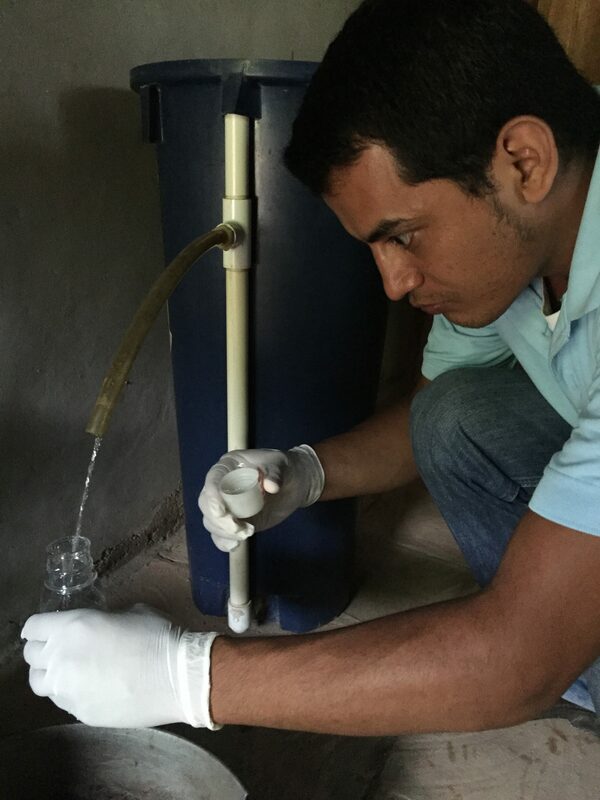 The Honduras Clean Water Project is designed to follow the United Nations Framework Convention on Climate Change’s (UNFCCC) protocol for low greenhouse gas emitting water purification systems. The project is being independently validated as a Gold Standard Microscale Project.